Well hello there art lovers! 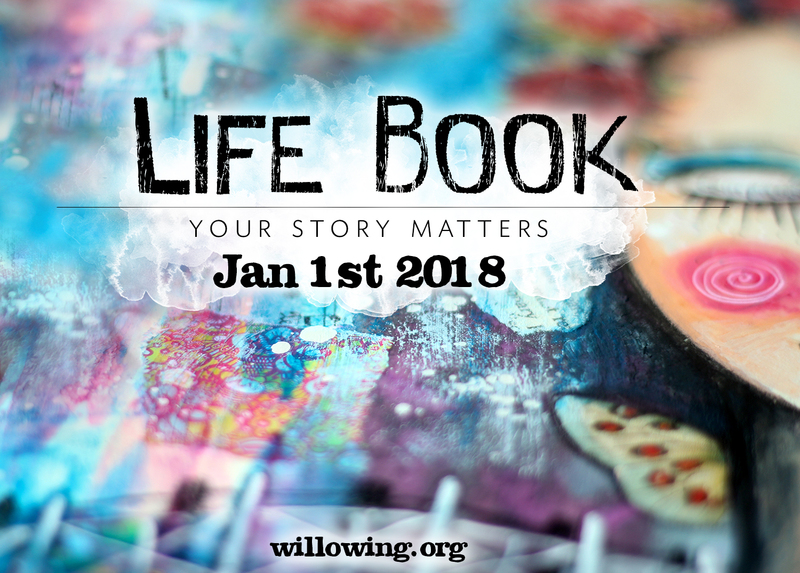 I am going to be teaching on Life Book 2018 next year! I was so super excited when Tam asked me to join her in this amazing course! Lifebook was one of THE courses that really sparked off my love of online mixed media courses, artists and teachers so I feel like I have hit the jackpot by getting to be part of it all! organised by Tamara Laporte from Willowing Arts. personal development practices and other art modalities, like sculpting, photography & writing! have getting introduced to and acquainted with some of the other wonderful art forms out there! Registration opens on September 12th 2017 and the class begins on January 1st 2018. I will announce the winner on 11th of September! I shall announce it here and on my facebook page so be sure to check back! Can’t wait to see you in Lifebook 2018!! UPDATE!!! the giveaway winner has been randomly selected using a number generator from my newsletter sign up names and the winner is…….Sharon Angle-Boyer! Well done Sharon! you will also be contacted by email!